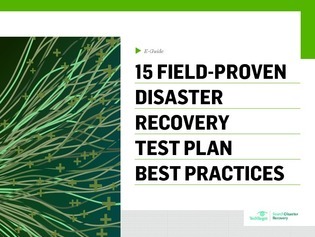 A disaster recovery test plan is a critical part of any DR strategy. Without a solid DR plan and regular testing, organizations cannot be completely confident in their ability to successfully remove and resume critical systems, networks, and other IT resources following a disruptive incident. This exclusive e-guide reveals 15 tips that ensure your organization receives the best possible result from its DR test. Read on and learn how this checklist helps your organization before, during, and after DR testing.